With military bases in the Philippines, South Korea, Japan and Okinawa, it was easy for America to replace France in Vietnam, which led to the Second War in Vietnam, Laos and Cambodia from 1955 to 1975. What the French and Americans did in Vietnam was not the only reason China wants to keep a buffer between itself and countries such as England, France, Japan and the United States. Great Britain conquered Burma after three Anglo-Burmese Wars in 1824 to 1886. Singapore was added in 1819. Then the British acquired Melaka in 1824 then expanded into the Malay Peninsula between 1874 and 1914. Thailand was the only Southeast Asian state to remain independent during the colonial period yet Thailand, which was known as Siam paid tribute to China 48 times mostly after 1780. The next war between China and Japan took place in 1894 to 1895. China lost and ceded Taiwan, the adjoining Pescadores, and the Liaotung Peninsula in Manchuria to Japan. China’s defeat encouraged the Western powers to make further demands of the Chinese government, which triggered a reform movement and the beginning of revolutionary activity against the Manchu rulers of China. While China was helpless, Japan occupied Korea and held it as a colony from 1900 – 1945. In 1903, a British military expedition invaded Tibet interfering in Tibetan affairs to gain a base in one of the buffer states surrounding India. The British were unsuccessful and left in 1904. However, in 1913, soon after the Qing Dynasty collapsed, the British convinced Tibet to declare freedom from being one of China’s tributaries after being occupied and loosely governed by China since the Yuan Dynasty in the 13th century. In 1900, the Boxer Rebellion led to another foreign invasion by the eight-nation alliance of Japan, Russia, the United Kingdom, France, the United States, Germany, Austria-Hungry and Italy. During that invasion, China’s Imperial army lost 20,000 troops and about 19,000 civilians while the foreign invaders lost 2,500 soldiers. 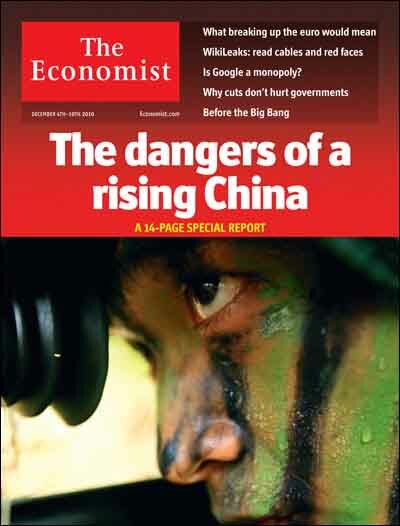 Although I feel that some of the advice from The Economist (ET) of The dangers of a rising China is flawed, the most important advice for America is to abide by its own rules — and if it must break them, it should factor in the real cost of doing so. I say that the problem here is the fact that every few years, the leadership of America changes and the new leadership (depending on political agendas and promises made to win votes) often does not respect agreements made by previous administrations. However, China’s central government tends to be much more stable than that of the US. This may help. Since the US has a history of breaking rules (and treaties), The Economist (TE) does offer valuable advice but I doubt if the US government will listen. The nature of US politics and much ignorance of China among many American voters increases the risk of making a costly mistake. In fact, there are political factions in the US that do not care how many die or suffer to achieve their political/religious goals. TE also offers important advice for the Chinese Communist Party to stop using censors… and to draw less on historic grievances. I suspect that as long as life in China continues to improve, the majority of Chinese could care less about the censored topics. However, what TE means by historic grievances is more important and a larger challenge for the Chinese to overcome. There are 19th century invasions of China by Western powers that led to the Opium Wars; the devastation of the Taiping Rebellion caused by a Christian convert; the results of the Boxer Rebellion and what happened in World War II when Japan invaded China slaughtering millions of innocent people. In the 18th and 19th century, China wanted to avoid contact with the West but the West due to its politics and religious beliefs refused and forced China to open its doors to trade resulting in much suffering in China. Forgetting those grievances, which smashed China’s “collective” pride, may be difficult for many Chinese to do now that the pride that was lost has been found again. 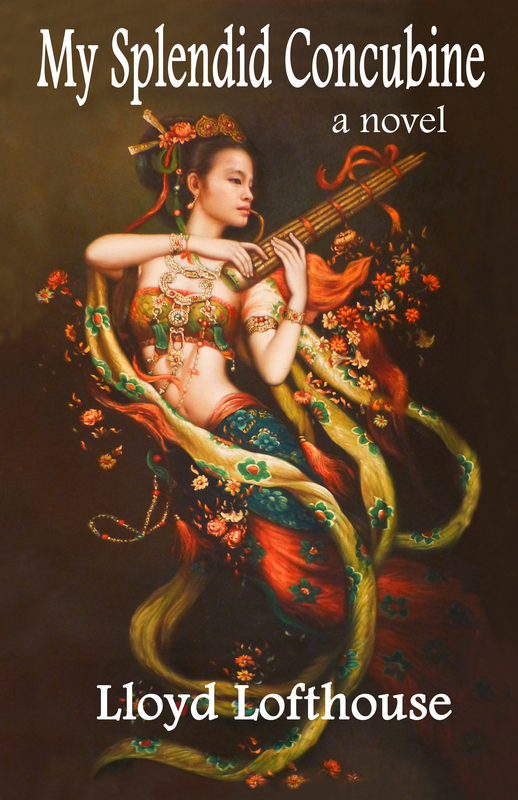 In fact, do not forget that many in China feel a serious connection to the ancestors who suffered at the hands of Western countries and Japan between the Opium Wars and the conclusion of World War II. It may be difficult and even impossible for people in an “individualist” culture such as the US to understand why many Chinese may have difficulty letting go of these historic grievances. After all, in America, it is easy to forget about the ancestors, the past and history. Many even believe it is a waste of time to learn of history. The Yongzheng Emperor ruled from 1722 to 1735. He was frugal like his father, the Kangxi Emperor. Yongzheng created an effective government and used military force to preserve the dynasty’s position as his father had. Under his leadership, he continued the era of peace and prosperity by cracking down on corruption and waste while reforming the financial administration of the empire. The Qianlong Emperor (birth/death 1711 – 1799) ruled China for much of the 18th century (1735 – 1796). He subdued about ten rebellions known as the “ten successful campaigns”, which drained the Qing Dynasty’s treasury. These rebellions stretched from 1747 to 1792. However, when the Qianlong Emperor died, China was unified, at peace and strong. He was a brilliant military leader and expanded the empire further into Mongolia and Tibet. During the rule of the Qianlong Emperor, Manchu and Chinese armies proved the Qing sovereignty over Burma and Nepal. Chinese settlers in Yunnan, Guizhou, Sichuan and Taiwan dealt with rebellions of the aboriginal tribes that could only be subdued by military force. Muslim people also resisted the Qing regime in Gansu and Xinjiang. Besides the Opium Wars, there was also the Taiping Rebellion, which lasted more than a decade and cost about 20 million lives. In 1900, The so-called Boxer Rebellion (known as “I-ho Chuan” or the “Righteous and Harmonious Fists”) was originally started against the Manchu Qing Dynasty but the Qing government managed to redirect this rebellion against the foreigner invaders that had defeated China during the earlier Opium Wars. The driving force behind the revolution of 1911 that ended the Qing Dynasty was Dr. Sun Yat-sen. However, once the Qing Dynasty fell, warlords tore China apart and it would take years of struggle to reunify China under one government in 1949 after the Communist Party defeated the Nationalists, who fled to Taiwan with much of China’s imperial treasures and gold.